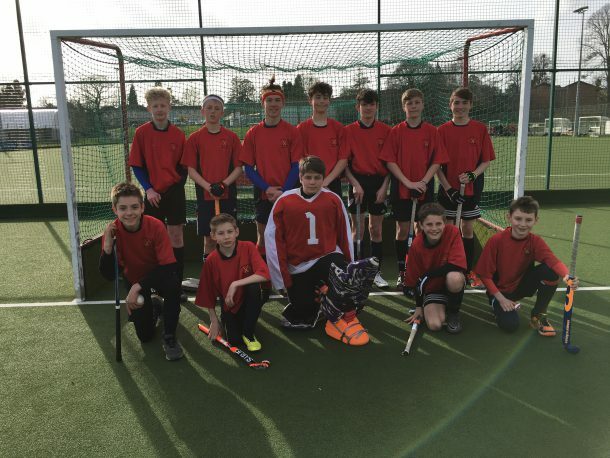 On the 8th March Launceston College U14 boys hockey team successfully became County champions again, convincingly winning all their matches against Bude, Mounts Bay, Truro School, Penair, Liskeard and beating Penrice in the final 4-0. On the 14th March the team travelled to Kings College Taunton to represent Cornwall in the Tier 2 U14 boys regional tournament. The team was captained by Oliver Rundle and consisted of the following players: Hamish Hudson, Ryan Downing, Shane Davey, Ben Harrison, Caleb Brewer, Joe Stewart, Keith Maynard, Riley Prynne, James Adams, Matthew Rowland, Jack Phippard. Teams were split into 2 pools and there were 5 matches to play within each pool. The team set the benchmark , with the first match against Devonport when captain Ollie Rundle scored a quick goal followed by a hat trick from Ryan Downing finishing 4-0. The second game against Bristol Grammar School was more of a battle as BGS defended well but Oliver Rundle managed to score securing a 1-0 win. Wellington were unable to score against Launceston’s strong defence and Hamish Hudson scored followed by a second goal from James Adams finishing 2-0. Katherine Lady Berkeley School proved more of a challenge as they managed to score first but Launceston College played with great determination and Oliver Rundle managed to equalise with a final score of 1-1 draw. The final match in the pool against Gillingham finished 4-0 with Ryan Downing scoring 2, and Oliver Rundle and Hamish Hudson both putting themselves on the score sheet. Launceston College finished top of the pool and consequently were through to the semi-final against Downside, Ryan Downing managed to slip one past the keeper enabling Launceston College to progress to the final against Kingswood. A tired Launceston College battled hard in the final but Kingswood defence was solid and with Launceston going 1 player down, Kingswood were too strong, with the score finishing 3-0 to Kingswood. Launceston players played incredibly well with great intensity during the tournament and as a team are growing in strength and confidence. They should feel extremely proud to finish Runners up in the South West region and we look forward to tracking their progress next year. Well done!